(CNN) North Korean leader Kim Jong Un has “unwavering trust for President Trump” and wants to achieve the denuclearization of the Korean Peninsula before the US leader finishes his term, South Korean officials said Thursday. Kim said he had “never said anything bad about President Trump to anyone,” Chung reported, adding that the North Korean leader expressed a wish to end 70 years of hostilities on the Korean Peninsula. 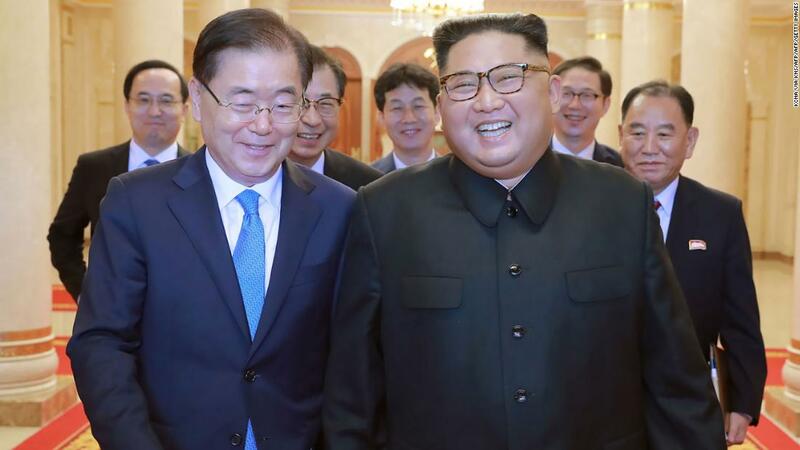 “Noting that it is our fixed stand and his (Kim’s) will to completely remove the danger of armed conflict and horror of war from the Korean peninsula and turn it into the cradle of peace without nuclear weapons and free from nuclear threat, he said that the north and the south should further their efforts to realize the denuclearization of the Korean peninsula,” KCNA reported. Talks between North Korea and the US have stalled in recent weeks, with both sides calling on the other to make further concessions in order to proceed to the next step. Trump recently canceled a planned trip by US Secretary of State Mike Pompeo to Pyongyang, saying the timing was not right. Washington has also accused China of undermining its efforts to maintain “maximum pressure” against North Korea and force it to negotiate for denuclearization. This impasse has put South Korea back in the driving seat, with Moon called on once again to salvage negotiations as he did ahead of Trump and Kim’s Singapore summit in June. But analysts warn that the continuing improvements in inter-Korean relations could see a rift grow between Seoul and Washington if the latter is unwilling to continue negotiation with Pyongyang or attempts to move back towards Trump’s original belligerent “rocket man” posturing. 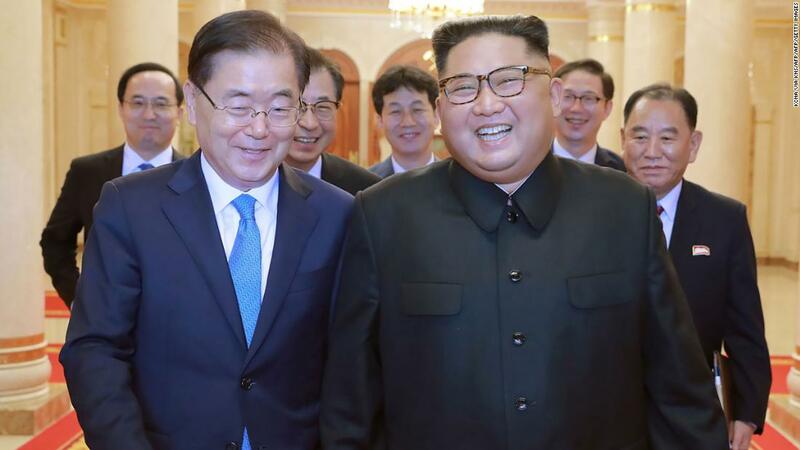 As well as a peace treaty with North Korea finally ending the Korean War, Moon has spelled out an ambitious economic plan for an increasing interlinked Peninsula, and he only has one five-year term in which to achieve these goals. Watch 4 trans actors audition for Scarlett Johansson’s past roles. They make an important point.